Your bible says study to show yourself approved. Study to show yourself approved to Yah­weh: a workman who does not need to be ashamed, rightly dividing the Word of Truth; the Laws and the Prophets. But the religions do not want their people to obey this rule, because when people study the bible they come to the understanding that things are required of everyone for Salvation. So they discourage bible study and they tell their deceived followers, just believe us and we will get you to heaven, while they are actually giving them sickness, disease, hardship, suffering, hatred, war, and death. Your bible says the whole world is headed for nuclear war that will wipe out four-fifths of the earth’s population. But the preachers tell you, don’t study, believe the religions that are causing the wars. The Savior, Yahshua Messiah, warned you to check the teaching of the religions because the many religions are deceiving the world, teaching for doctrine the traditions of Satan followers, who say the Laws of Righteousness were done away. Yes, they were done away by the deceiving religions that are leading the whole world to destruction. If a person is deceived, he is not serving Yahweh, Who Alone can give Eternal Life. Serving Yahweh is a must to prove you belong to Yahweh. 16 Do you not know that to whom you yield yourselves as servants to obey, his servants you are whom you obey—whether of sin, which leads to death, or of obedience, which leads to Righteousness? 17 But thank Yahweh, though you were once servants of sin, you have become obedient with all your heart to the form of teaching which was delivered to you. 18 Being then set free from sin, you have become servants of Righteousness. 19 I put this in human terms because of your natural limitations. For just as you used to offer the members of your body as servants of uncleanness, and of sin which leads to more sin; so now yield your members asservants to Righteousness and Holiness. 20 For when you were servants to sin, you were free from the control of Righteousness. 21 But then what benefit did you get from the things of which you are now ashamed? For the end result of those things is death! 22 But now that you have been set free from sin, and have become servants to Yahweh, the benefit you reap leads to Holiness, and the end result is Eternal Life. 23 For the wages of sin is death; but the gift of Yahweh is eternal life through Yahshua Messiah, our Savior. But of the fruit of the tree which is in the midst of the garden, Yahweh has said: You shall not eat it, nor shall you touch it, or you will die. The Hebrew states “dying you will die”. Notice the words of the Savior, Yahshua Messiah, the High Priest and King over the Last Days’ Established House of Yahweh. 1 But in the Last Days it will come to pass that the mountain; promotion, of The House of Yahweh will be established in the chief of the nations. It will be raised above all congregations; and all peoples will eventuallyflow to it. Remember this: Yahweh, the Heavenly Father created mankind for the purpose of making mankind into the Image and Likeness of Yahweh Himself—a Being of Perfect Righteousness. Yahweh gave mankind perfect Laws to guide him to that perfect Righteousness, along with the promise of Eternal Life and a position of servitude in the Kingdom of Yahweh. Yahweh shows that mankind must choose Righteousness in order to receive this eternal gift. Those who will not choose Righteousness will not be given that gift. Choosing is everyone’s prerogative. But when one refuses to choose Yahweh’s Righteousness, one also refuses the gift of the only Being Who can give life. If you choose to let today’s religions deceive you into not studying and not seeking where Yahweh has placed His Name and His Righteousness, you have chosen deception above Yahweh’s House and Righteousness. 16 In that I command you this day to love Yah­weh your Father, by walking in all His Ways, by keeping His Laws, His Statutes, and His Judgments, so that you may live and multiply, and so Yahweh your Father may bless you in the land which you go in to possess. 12 And behold, I come quickly, and My Re­ward is with Me, to give every man according as his work will be. Now compare the Apostle’s statement. The destruction! Yahshua’s Words again. And the devil, who deceived them; seduced and led them astray, was cast into the lake of fire and brimstone, where the beast and the false prophet had been cast, and will be tormented a day and a night because of the ages. Notice, it is Satan who has deceived the whole world into thinking they will not die or be destroyed if they practice sin, which is disobedience to Yahweh’s Laws. In disobedience to Yahweh’s Laws, Satan’s preachers continue to proclaim the same today, as Satan did to Eve. They are in opposition to the Words of the Savior, Yahshua Messiah, and those of His twelve Disciples. Notice again Yahshua’s Teachings. 25 Truly, truly, I say to you: The hour is coming, and now is, when the dead will hear the voice of the Son of Yahweh; and those who hear will live. 27 And has given Him Authority to execute judgment also, because He is the Son of Man. 29 And will come forth. Those who have practiced Righteousness will be resurrected in order to live; and those who have practiced wickedness will be resurrected in order to be damned. Only those who practice Righteousness will be given Eternal Life. Only those who practice Righteousness will be given Eternal Life. Those who have practiced rebellion will bedamned. Damned? Yes! In the lake of fire? Yes! In verse 16, we see obedience unto Righteousness. Compare the following Scriptures. 24 But when the Righteous turns away from his Righteousness and commits iniquity, and does according to all the abominations that the wicked man does—should he live? All his Righteousness that he has done will not be mentioned in his behalf. In his trespass that he has trespassed, and in his sin that he has sinned, in them he will die. 2 And He is the Sacrifice of Atonement for our sins, and not for ours only, but also for the sins of the whole world. Notice that Righteousness is the practicing of Yahweh’s Laws. Sin is rebellion against Yahweh’s Laws, and the wages of sin is death (Romans 6:23). Remember, the soul that sins, it will die. The Savior, Yahshua Messiah, warned over and over about false prophets, who are religious imposters that teach that the Laws of Yahweh were done away with. They teach that we have a “new” covenant. They say that the Savior lived a Righteous life for you. You don’t have to change, He did it all for you, so you can continue practicing sin. You need to carefully study the “new testament” or “new covenant” written by the twelve Disciples who were trained by Yahshua Messiah Himself. The scribes were lawyers who belonged to this same group of religions prophesied of by Yahweh’s Prophets. 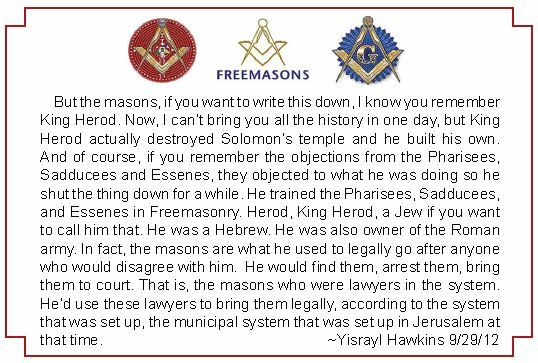 They were also called Masons (Freemasons) who secretly worked to deceive by falsifying the Writings of Yahweh’s Prophets and Apostles. They set their pens to deceive as Yahshua Messiah and Yeremyah prophesied. How can you say; We are the wise, and the Laws of Yahweh are with us? Behold, the lying pen of the scribes has falsified them, and written them wrong! And He made His grave with the wicked, and with the rich in His death; but He had done no violence,nor was any deceit in His mouth. Remember, Yahshua is the Perfect Example of the Image and Likeness of Yahweh. Notice also in this Prophecy. All we like sheep have gone astray; we have turned, every one, to his own way; and Yahweh has laid on Him the iniquity of us all. If you believe Luke 24:25, you will believe and see that is exactly the religious system (beastly system) seen among the religions today as well as then. 7 He was oppressed and He was afflicted, yet He opened not His Mouth. He was led as a lamb to the slaughter, and as a sheep before its shearers is silent, so He opened not His Mouth. 8 He was taken from prison and from judgment, and who will declare His generation? For He was cut off from the land of the living; for the transgressions of My People He was stricken. 9 And He made His grave with the wicked, and with the rich in His death; but He had done no violence, nor was any deceit in His Mouth. 10 Yet His bruises; willful sacrifice, pleased Yahweh; for He was put to much grief. Now He has brought the offering for sin. He will see His Seed, He will prolong days, and the pleasure of Yahweh will succeed in His Hands. 11 He will see the labor of His Soul, and be satisfied; by His Knowledge My Righteous Servant will justify many, for He will bear their iniquities. 12 Therefore, I will divide Him a portion with the great, and He will divide the plunder with the strong; because He poured out His Soul to death, and He was numbered with the transgressors; and He bore the sin of many, and made intercession for the transgressors. He had done no violence nor was any deceit in what He taught. There was no deceit in Yahshua’s Teaching. That is a Scriptural fact. So we can rest assured that what Yahshua taught is the way to life if believed and followed by us. 25 And the rain fell, and the floods came, and the winds blew, and beat against that house; but it did not fall, for it was founded upon the rock. 27 And the rain fell, and the floods came, and the winds blew, and beat against that house; and it fell, and great was the fall of it. 29 For He taught them as One Who had authority, and not like the scribes. Therefore, everyone who hears these sayings of Mine, and does them, is like a wise man who built his house on the rock. And death and sheol were cast into the lake of fire. This is the second death. Therefore, put away all filthiness and the superabundance of wickedness, and receive with meekness; humility,the written Laws, which are able to save your souls. But be doers of the Laws, and not hearers only, deceiving your own selves. 25 But he who looks into the perfect Laws of liberty, and perseveres; continues persistently, in it, he is not being a forgetful hearer, but a doer of the work; this man will be blessed in his performance of the Laws. Can you still believe? Would you like it better if I taught lies like all the churches and the pope? Those lies do not profit you, they only bring death. What does it profit, my brothers, if a man says he has faith, but does not have works? The faith is not able to save him. Did you see that? Believing only will not save. Why then are the preachers lying to all the world in these Last Days? 23 And the Scripture was fulfilled which says: Abraham was faithful in all The House of Yahweh, and it was accounted to him for Righteousness; and he was called the friend of Yahweh. 24 You see then that a man is justified by works, and not by the Faith alone. 25 In the same way also, was not Rachab the harlot justified by works, when she had welcomed the messengers, and sent them out another way? Draw near to Yahweh, and He will draw near to you. Cleanse your hands, you sinners; and purify your hearts, you double-minded. Sinners? Would you believe what constitutes sin? Let the [latter] one be sure that whoever turns a sinner from his evil course will save [that one’s] soul from death and will cover a multitude of sins [procure the pardon of the many sins committed by the convert]. Repent therefore, and be converted, that your sins may be blotted out; that times of re­freshing may come from the Presence of Yahweh. Let him know that he who turns a sinner from the error of his way, will save his soul from death, and cover a multitude of sins. The whole world is deceived. How? They are being told by the churches, the catholic church and all other religions of the earth today, that they do not need to keep Yahweh’s Laws. The House of Yahweh is the only group that says you do need to keep Yahweh’s Laws. The whole world is being taught to sin. They all belong to Satan. Notice this in your own bible, if you are still reading and will actually believe what it really says. So what must we do? The number one thing is to stop letting these religious imposters deceive you into belonging to Satan by following her rebellious, sinning path of death. But you thought the Commandments were the “Old Testament” and you now have a “New Testament” that does away with the Laws (Commandments) of Yahweh. Those who taught you such a thing are shown to be liars. You are of your teacher who is Satan the Devil, and whatever she who is your teacher desires, you will do. She was a murderer from the beginning, and remained not in the Truth, because there is no Truth in her. Therefore,when you speak your falsehoods, you speak her words, because she is a liar, and the teacher of all lies! Notice this is not a new testament (covenant), it’s the very same Covenant given to Abraham and even Noah in the beginning. Read it for yourself in your own bible and see how they lie to deceive as their owner and teacher Satan. Is that a new testament? Look! For this is the Message that you heard from the beginning, that we should love one another. Yahweh’s Laws teach perfect love. That was the Message taught in the beginning. That was the same. So, it’s not a new covenant or “New Testament”; it’s the same Covenant (Testament) that was taught in the beginning. It’s now being renewed by Yahweh’s prophesied established House. 1 But in the Last Days it will come to pass that the mountain; promotion, of The House of Yahweh will be established in the chief of the na­tions. It will be raised above all congregations; and all peoples will eventuallyflow to it. Deception, pure and simple, is the lies that all religions are teaching today. The big lie is, “you do not have to obey the Creator, Yahweh; you won’t die”. You better believe the Savior, Yahshua Messiah. Satan and her teachers lie about everything. Their holidays are a prime example. Santa’s reindeer pull his sleigh through the sky. He goes down the chimney of every home and puts presents under the christmas tree that is cut and fastened with hammer and nails. 2 This is what Yahweh says: Do not learn the way; religious practices, of the heathen; unbelievers; and do not be deceived by the signs of heaven; though the heathen are deceived by them. 3 For the religious customs of the peoples are vain; worthless! For one cuts a tree out of the forest, the work of the hands of the workman, with the ax. 4 They decorate it with silver and with gold; they fasten it with nails and with hammers, so that it will not move;topple over. 5 They are upright, like a palm tree, but they cannot speak; they must be carried, because they cannot go by themselves. Do not give them reverence! They cannot do evil, nor is it in them to do Righteousness! Call, write or email us for full information on this lie of the worship of baal (lord) the sun god-Egyptian pharaoh, latter called rabbi (lord, the lord). Notice the following information from Unger’s Bible Dictionary. Or try this lie and surely you will believe that rabbits lay eggs, even colored eggs, and that is their worship of their savior’s resurrection. Yahweh’s Way is plain. Love others as yourself by practicing Yahweh’s Laws of love. Love Yahweh with all your heart by practicing Yahweh’s Laws of love. Don’t let Satan or her many religions deceive you. Yahweh has established His House in these Last Days, and it is teaching and practicing Yahweh’s Laws of True Love. Come and I will show you the great difference. I greatly rejoiced when I saw your humble repentance to the public. I, as you, see the harm in sin. For over forty years, I have been teaching that sin is the cause of all of today’s problems, bar none. However, partial repentance doesn’t help. That will not help you or your nation. Nor will you be helped by the Creator by praying to gods or lords. The Name of the Creator was hidden by the Catholic church and the popes. If you have a King Jamesbible, you can see the changes they made in the Inspired Work of the Prophets, as early as Yeremyah’s (Jeremiah’s) day. Yeremyah is the name of one of Yahweh’s Great Prophets. His name means may Yahweh lift up. But the Catholic church in their translation of the bible, the King James Version,they changed the names of the Prophets and Apostles in order to hide the Name of the Creator, Yahweh. In the King James Version, they show the Prophet Yeremyah’s Name to be Jeremiah. Notice that they took out the “Yah” at the end of the Name Yeremyah. “Yah” is a shortened form of the Name of the Creator, which is Yahweh. 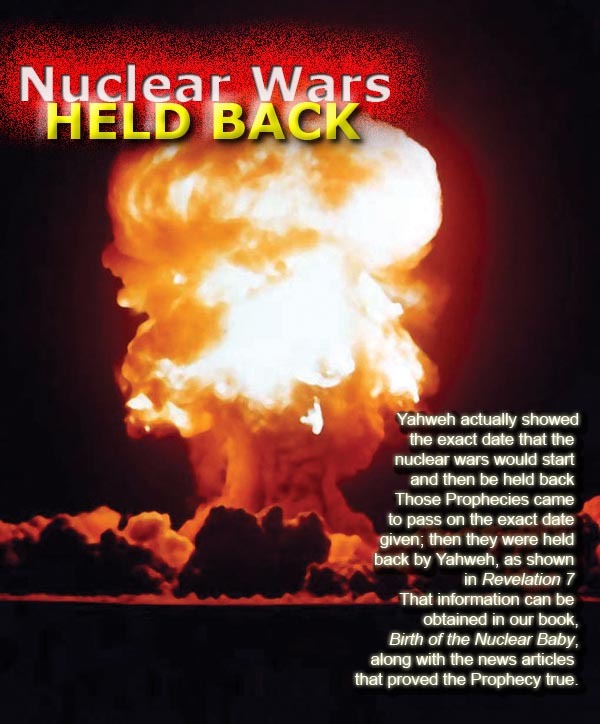 Notice what Yeremyah says about Yahweh’s Name and the acts of rebellion against Yahweh. The word baal means lord, as all bible dictionaries show. Below is a copy from Unger’s Bible Dictionary. When the word false is used, it means that the word does not and cannot refer to the Creator Yahweh because Yahweh is not a god or lord. Where did the Israylites, who were in control of Yerusalem and the temple, and persecuted the Prophets, get this lord and god worship? It was not in the Original Inspired Scriptures, from which our bibles were translated. Notice the character of those who, by violence, took the land of Israyl, Yerusalem and the temple. 20 Remember the word that I said to you: A servant is not greater than his ruler. If they have persecuted Me, they will also persecute you. If they have kept My Word, they will keep yours also. 22 If I had not come and spoken to them, they would not have had their sins revealed; but now they have no cloak, covering, for their sins. The reason they hated Yahshua Messiah and His twelve Disciples is because they taught Yahweh’s Laws of Righteousness, which exposed the sins of the Pharisees, Sadducees, Essenes, and Herodians who controlled Yerusalem, the temple, and most of Israyl with its army. This is shown by the Prophet Daniyl. And the army will stand on his part, and they will pollute the sanctuary of strength, and will take away the daily sacrifice, and they will place the Lord of heaven. Yahshua and the twelve Disciples taught and exposed their sins. The fathers of these men rose up publicly against the Great Prophet Samuyl. In the First Book of Samuyl, it is shown that they brought their rebellious god and lord worship out of Egypt with them. The Egyptians made and worshipped many gods and lords. Each pharaoh was regarded as a god and worshipped as such after death, and in many cases, before death. The following excerpt is from Merriam Webster’s Collegiate Encyclopedia. 4 Who assemble and spend the night keeping memorials for the dead, who eat swine’s flesh, and the broth of abominable things; unclean foods, is in their vessels. Eating swine’s flesh and the worship of the dead come from Egypt, and are done today all over the world. From where did ‘lord’ and ‘the lord’ worship come? It’s the same as was done in Egypt with the pharaohs, except these lords are dead rabbis and popes that are being worshipped today. Keep in mind when you see the word master that it means baal or lord. The following excerpt is from Unger’s Bible Dictionary. Saints’ day, a day for each person deemed as a saint, was celebrated in Israyl and in Egypt; which Isayah refers to as memorials to the dead. As the number of days began taking up the whole calendar, this worship of the dead later changed to only one day of the year, and it was called all saints day or halloween, which is a memorial to the dead. The dead are worshipped all over the world today. The people are so deceived they don’t even know that they are worshipping the hinder gods of Egypt. The word rendered other in this Scripture is from the Hebrew word acher. The very first meaning of this word shown in the Hebrew dictionary of Strong’s Exhaustive Concordance is hinder. The Book of Yahweh is correctly translated. There are many gods, one of the Apostles was inspired to write. 5 For even though there are many called gods (elohim), whether in heaven or on earth (As there are many gods; elohim, and many lords; baalim). 6 Yet to us there is only One Authority, the Father, from Whom all things came and for Whom we live. And there is but one King, Yahshua Messiah, on Whose account are all things, and on Whose account we live. There is One Lawgiver, Who is able to save and to destroy—who are you who condemns another? The King James Version is very confusing because of the fact that the catholic church removed not only the Name of the Creator, Yahweh but also the Name of the True Savior, Yahshua Messiah, and replaced them with the names of gods and the titles of lord, el, adonai, and baal. Thus, the first ecclesiastical gathering in history was summoned and is today known as the Council of Nicaea. It was a bizarre event that provided many details of early clerical thinking and presents a clear picture of the intellectual climate prevailing at the time. It was at this gathering that Christianity was born and the ramifications of decisions made at the time are difficult to calculate. About four years prior to chairing the Council, Constantine had been initiated into the religious order of Sol Invictus, one of the two thriving cults that regarded the Sun as the one and only Supreme God (the other was Mithraism).Because of his Sun worship, he instructed Eusebius to convene the first of three sittings on the summer solstice, 21 June 325 (Catholic Encyclopedia, New Edition, vol. i, p. 792), and it was “held in a hall of Osius’s palace” (Ecclesiastical History Bishop Louis Dupin, Paris, 1986, vol. i, p. 598). Get yourself a Book of Yahweh, and you will see the many places the True Names were removed. The following excerpt is from Unger’s Bible Dictionary under the word lord. Remember, the very words god and lord are titles of men, not the Creator Yahweh. The reason I am informing you of this bible history is because I believe you are sincere and your prayers were sincere, but they will never be answered by dead rabbis and popes. The Prophets say that the dead know nothing. For the living know that they will die; but the dead do not know anything; they have no further reward, and even the memory of them is forgotten. When you pray using the titles lord or god, you are praying to dead pharaohs, rabbis and popes. These dead ones know nothing, until the day when they will be resurrected and sentenced before the Great White Throne Judgment. To pharaohs, rabbis, and popes you pray? Yes. Notice the following information from Unger’s Bible Dictionary. 1 Then the men of Kiryath Yearim came and took the Ark of Yahweh, and brought it into the house of Abinadab on the hill, and consecrated Eleazar his son to keep the Ark of Yahweh. 2 So the Ark remained in Kiryath Yearim a long time; it was there twenty years, and all the house of Israyl mourned after Yahweh. 3 Then Samuyl spoke to all the house of Israyl, saying; If you are returning to Yahweh with all your hearts, thenrid yourselves of the gods (elohim) and Ashtaroth; goddesses, among you. Commit yourselves to Yahweh, preparing your hearts and worship and serve Him only. Then He will deliver you out of the hands of the Philistines. Notice! You Must Turn From All Sin! Yahweh’s Prophet Samuyl told the elders of Israyl the perfect way to get their prayers answered—confess your sins and turn completely to Yahweh the Creator. 6 So they gathered together at Mizpah. They drew water and poured it out in front of Yahweh. On that day theyfasted, and there they confessed; We have sinned against Yahweh. And Samuyl was judge of Israyl at Mizpah. 7 When the Philistines heard that the children of Israyl had gathered together at Mizpah, the rulers of the Philistines went up to attack them. When the Israylites heard of this, they were afraid because of the Philistines. 8 They said to Samuyl; Do not cease crying out to Yahweh on our behalf so He may save us from the hand of the Philistines. 9 Samuyl took a suckling lamb and offered it as a whole burnt offering to Yahweh. Then Samuyl cried out to Yahweh on Israyl’s behalf, and Yahweh answered him. 10 As Samuyl was offering the burnt offering, the Philistines drew near to begin battle against Israyl. But Yahweh thundered with such a loud thunder against the Philistines that day, and threw them into such confusion, they were soundly defeated before Israyl. 11 The men of Israyl rushed out of Mizpah and pursued the Philistines, cutting them down as far as the point below Beth Car. 12 Then Samuyl took a stone and set it up between Mizpah and Shen. He called its name Ebenezer; Stone of Help, saying; So far Yahweh has helped us. 13 In this way the Philistines were subdued, and they no longer invaded the territory of Israyl. Also, the Hand of Yahweh was against the Philistines during the lifetime of Samuyl. 14 The cities which the Philistines had captured were restored to Israyl, from Ekron to Gath; Israyl recovered its territory from the power of the Philistines. There was also peace between Israyl and the westerners. 15 Samuyl judged Israyl all the days of his life. 16 From year to year he went on a circuit to Beth-El, Gilgal, and Mizpah, judging Israyl in all those places. 17 But he always returned to Ramah, where his home was. There he also judged Israyl, and there he built an altar to Yahweh. 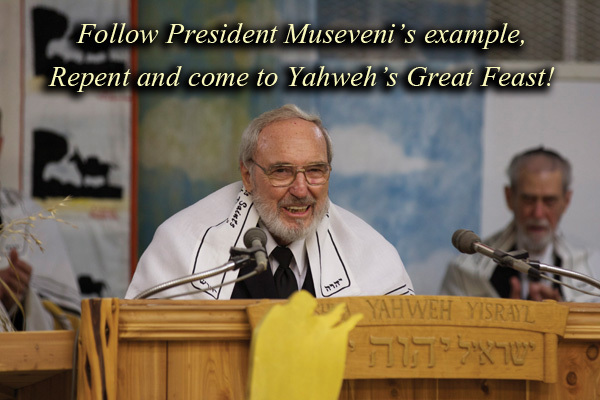 President Museveni, what is written in I Samuyl 7 took place just 379 years after the exodus from Egypt. What is written in I Samuyl 8 took place 28 years after Yahweh had delivered Israyl (I Samuyl 7). Notice that the Israylites brought this god worship with them from Egypt. These gods were the dead pharaohs of Egypt. The worship of these dead pharaohs was brought from Egypt by many of the elders who came out of Egypt with Mosheh, but never came out of god worship. This same authority (rulership or lordship) of political and religious power was used by the elders of Israyl who became kings of their lands. These powers were ruled over by empires. All four were shown by the Prophet Daniyl. The last of the four was the “holy” roman empire. The popes still hold power over the people, as they always have since the fourth world ruling kingdom (empire) began. They still practice the worship shown in I Samuyl 7:1-6. This worship includes the dead pharaohs, dead rabbis, and now dead popes, which break the first commandment of the Ten Commandments. 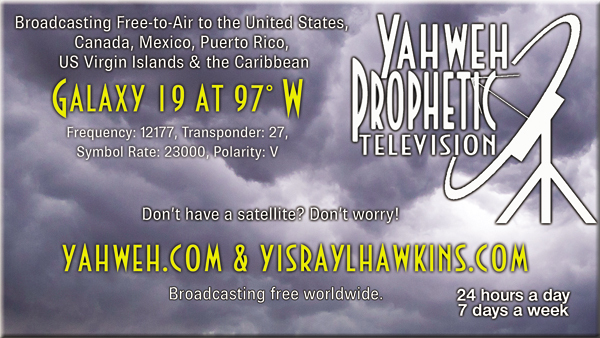 Notice the words of Yahweh’s Great Prophet Isayah. 5 Who say; Stand by yourself! Do not come near me, for I am holier than you! These are a smoke in My nostrils, a fire that burns all the day. These memorials to the dead were originally known as saints’ days. These saints’ days were practiced for years until almost every day of the year was being celebrated and it was impossible to get any work done. They then changed this tradition to only one day, all saints day/all hallows eve, which is now known as halloween, in honor or memorial to all the dead gods and lords. Yahweh’s Name actually means He Who can create and He Who can save and give Eternal Life. None of the gods or lords ever claimed such authority or power, except Satan, whose desire is to be over Yahweh, as is shown in Isayah 14. The religious customs in so-called honor of the dead gods are more so in honor of wealth. If you will notice, each holiday in honor of the dead has the energy of bringing in wealth. Christmas, the birthday of the famous sun god baal, which means lord or the lord, brought in the most revenue for many years. Although the celebration hints at Eternal Life or Salvation, they stay clear of that offer because it causes people to question the same. They start asking questions put forth in the Holy Scriptures. So they stay clear of calling these customs in the honor of gods Righteous or life rewarding. December 25th is the birthday of the sun god baal,lord, or the lord. 2 This is what Yahweh says: Do not learn the way; religious practices, of the heathen;unbelievers; and do not be deceived by the signs of heaven; though the heathen are deceived by them. 3 For the religious customs of the peoples arevain; worthless! For one cuts a tree out of the forest, the work of the hands of the workman, with the ax. In verse 3, we see that one cuts a tree for this vain, religious custom. Start looking before or after hallowen and you will see these trees, cut and standing at stores for sale to use in this vain worthless, evil custom. In verse 2, we are instructed not to learn the ways of the heathen. Heathen means unbeliever. The Savior, Yahshua Messiah, called them fools if they don’t believe Yahweh’s Inspired Prophets. 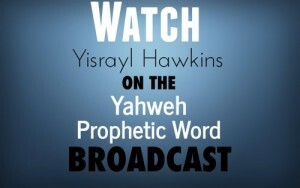 Why Believe The Inspired Prophets Of Yahweh? Yahweh’s Prophets stand out from all other prophets in many ways. One thing that separates Yahweh’s Prophets completely from the god worshipping prophets, preachers, and priests is that their Prophecies never fail. I could give you many examples of outstanding, detailed Prophecies with names, times and events, if you desire. Many of them I have written about in our monthly publications, The Prophetic Word magazine and The House of Yahweh Newsletter. 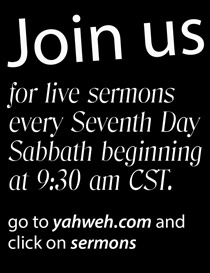 You could view these on our website yahweh.com. Only Yahweh makes the claim of being able to create something from nothing. Only Yahweh makes the claim and proves that He can foretell the future, and even inspire His Prophets to write about it for others, thousands of years in advance. Yahweh inspired His Holy Prophets to foretell the future in order to show mankind what keeping Yahweh’s Laws of Righteousness would bring and what man’s sins would bring upon himself and to the nations in the end of the 6,000 year Plan for mankind and the earth. What is sin? Sin is the breaking of Yahweh’s Laws; plain and simple, that is classified as sin. If one rebels against one Law, he is guilty of breaking them all, because every time sin is practiced, a curse comes behind the sin. 10 For whoever keeps the whole Law, and yet offends in one point, he is guilty of all. 11 For He Who said: Do not commit adultery, also said: Do not murder. Now if you do not commit adultery, yet you do murder, you have become a transgressor of the Laws. 12 So speak, and so do, as those who are being judged by the Laws of liberty. Yahweh’s Laws are called Laws of liberty because practicing them sets us free from Satan, sin, and death. What did she teach in the beginning? 7 Then the eyes of both of them were opened, and they realized that they had sinned; they had violated Yahweh’s Laws. Because they had not kept Yahweh’s Laws, they were afraid. Verse 7 shows that they sinned. The word traditionally translated naked is from the Hebrew root word oram. TheTheological Wordbook of the Old Testament by Harris, Archer, and Waltke, Volume 2, page 695, shows this word is correctly translated sin. Verse 5 shows that if one practices sin he will be like the gods. He will not be like Yahweh, and he will not receive Eternal Life or an eternal position in Yahweh’s Kingdom. His life will be filled with uncertainty, sickness, disease, illegal lust, hatred, fighting, and war. In the end, he will be judged according to his works, whether he practiced Righteousness and belonged to Yahweh or whether he practiced sin and belonged to Satan. The word rendered idolaters is god worshippers from the Hebrew wordelohim. Yahweh, the Creator of mankind, was never known as a god in the Original Inspired Scriptures. These titles were used by the scribes to replace the Creator’s Name and that of the Savior also, as you just read from theCatechism of the Catholic Church and The First Council of Nicaea and the “missing records”. The titles of gods were used by the freemasons, who are known as lawyers and scribes in the Holy Scriptures. They were the lawyers owned by the Pharisees, Sadducees, Essenes, and Herodians to try to create fault with Yahshua Messiah in order to bring charges against Him so they could have Him arrested and killed. Why would they want to entrap the Savior? Because the Savior, Yahshua Messiah, taught the Laws of Yahweh, which exposed their sins, and they hated Him, just as they do today. 4 So the children of Israyl put away the baals; lords and gods (elohim), and the Ashtaroth; the goddesses,Astarte and Easter, and worshipped and served Yahweh only. 6 So they gathered together at Mizpah. They drew water and poured it out in front of Yahweh. On that day they fasted, and there they confessed; We have sinned against Yahweh. And Samuyl was judge of Israyl at Mizpah. Only 28 years later these same elders and their children turned back to god worship again, cutting themselves off from Yahweh. The curse, as with Cain, was continual war. From these elders of the twelve tribes of Israyl came god worship to all Israyl. From them came the removing of and the persecuting of the true Prophets of Yahweh. From them came the removing of the Name Yahweh from the Prophets’ Writings. You may ask, why did Yahweh allow this? This system started with the nimrod (meaning he rebelled) system and spread to all the earth. 7 The sons of Cush were Seba, Havilah, Sabtah, Raamah, and Sabtechah; and the sons of Raamah were Sheba and Dedan. 8 Cush fathered Nimrod; he began to be a mighty one on the earth. 9 He was a tyrant who deceived, who turned against Yahweh; therefore it is said: Like Nimrod the tyrant who deceived, who turned against Yahweh. 10 And the beginning of his kingdom was Babel, Erech, Accad, and all of them in the land of Shinar; that is, Babylon. 2 And it came to pass, as they journeyed from the east; the beginning, that they found a plain in the land of Shinar; Babylon, and they settled there. 3 Then they said to one another; Come, let us make bricks and burn them thoroughly. They had brick for stone, and they had bitumen for mortar. 4 And they said; Come, let us build ourselves a city, and a tower, whose top is in the heavens. Let us make a name for ourselves, lest we be scattered abroad over the face of the whole earth. 5 But Yahweh came down to see the city and the tower which the sons of men had built. 6 And Yahweh said: Indeed the people are one and they all have one language, and this is what they begin to do. After this, nothing that they purpose to do will be withheld from them. Notice the last part of verse 6. Now Genesis 11:1, after this nothing that they propose to do will be withheld from them. Yahweh shows what He will do with those who accept Life and Righteousness. He also shows what will occur to those who choose to bring curses on themselves and others. Yahweh’s Plan is a 6,000 year Plan. Yahweh foretells the future of this system and intends to prove what sin will bring. Sin has just about reached its peak. It’s Yahweh’s Plan to let man choose. This Plan will end with the last Work of Yahweh, the Two Witnesses, one of which is to take the Message of Yahweh’s Kingdom to all nations. 14 And this Message of the Kingdom will be preached to all the world by the One who bears witness to all nations; and then The End will come. The End looks like this for most of the world. 33 In the same way, when you see all these things, know that His coming and The End of the Ages is near, at the very door. These nuclear wars, that will darken the sun (verse 29), will first destroy a third part of mankind over a fourth part of the earth in and around the great River Euphrates. It will then spread to all the earth, wiping out four-fifths of the population. But notice here that a huge number will come out of this Great Tribulation, repenting, and converting to practicing Righteousness. 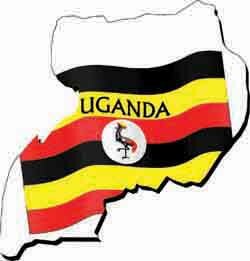 President Museveni, your nation could be the one to actually start this movement back to the Creator Yahweh. If you do decide to take this challenge from Yahweh, you may by all means have my assistance. I am spoken of many times in your bible. I would be glad to show you the Scriptures. Yahweh gave me my name through the mouth of a baby that could not talk. My parents and three other people heard the name loud and clear. It had been the talk of the family for over seven decades. Yahweh is with me. I am with Yahweh. I can help you, as the Prophet Samuyl helped the children of Israyl at that time. 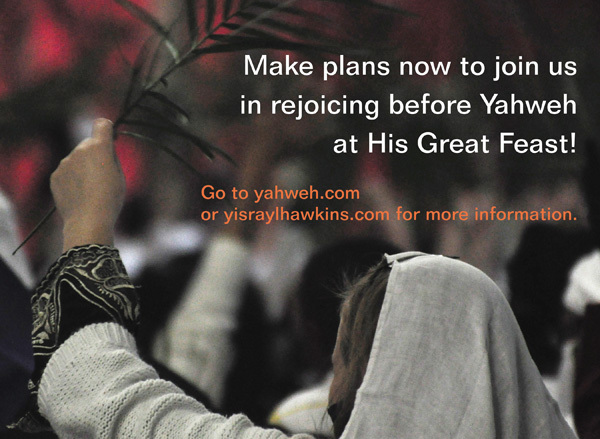 You may contact me by phone at 325-893-5899 or 325-672-5420, or email me at yisraylhawkins.com, or you may write me at P.O. Box 2498, Abilene, TX 79604.